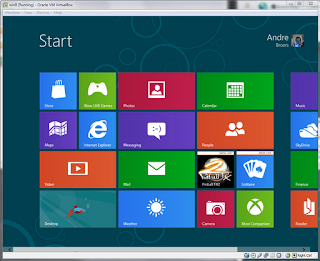 Download the ISO from http://windows.microsoft.com/en-US/windows-8/iso. I downloaded the 64bit english version. Write down the serial that is shown for your downloaded iso. 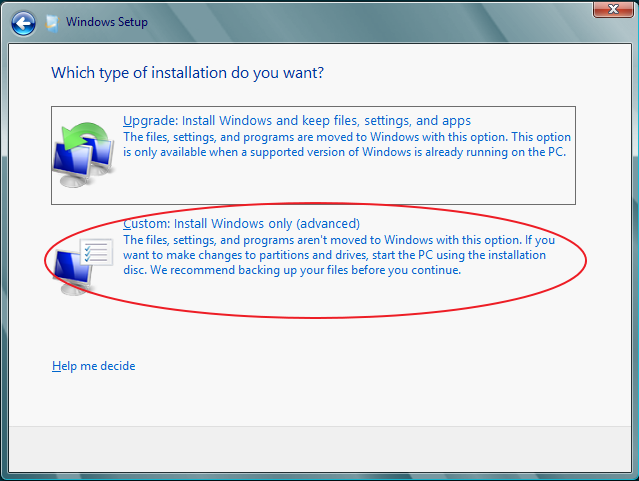 You will need it later on to install Windows 8. 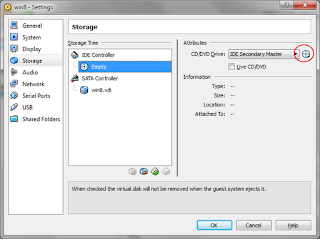 For the rest I leave the default settings (1.5 gig memory, 20gig disk). 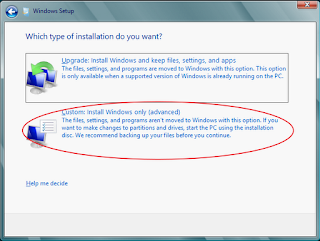 After this change the settings of the cdrom to select the downloaded installer iso. 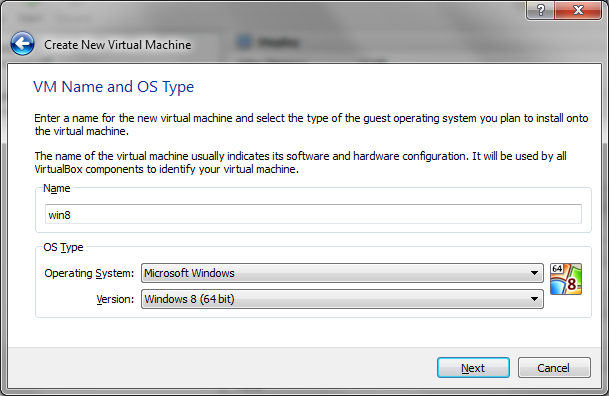 Select the image by clicking on the circled cd and press ok.
Now you can start the virtual machine and the windows 8 installer boot up from the cd. 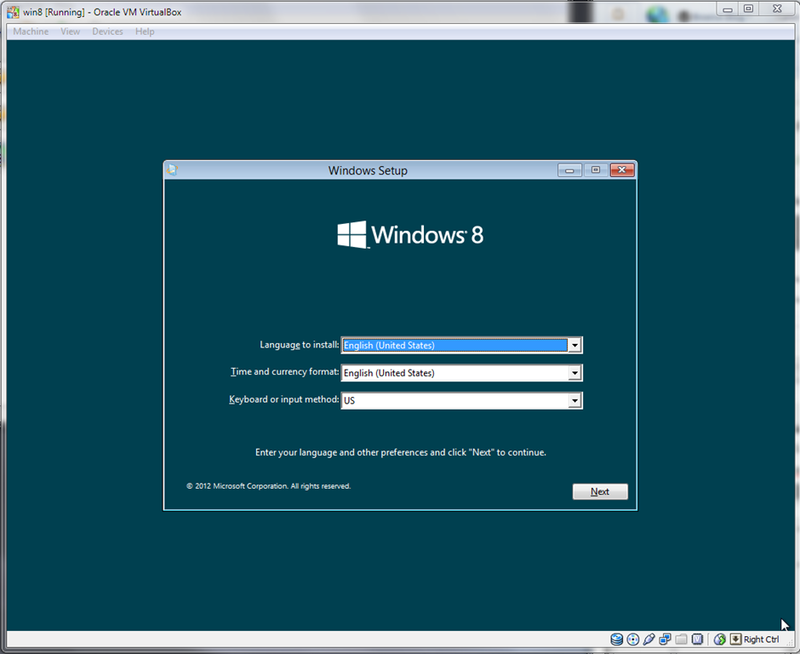 In the first screen you can select the language to install.  The time and currency format (in my case Dutch (Nederlands)) and the keyboard layout (I prefer US). Click next. Now click the button Install Now. Next thing is to type the serial that you have written down when you were downloading the iso image and click Next. Read the license terms and click the checkbox if you agree to the terms. Click next. 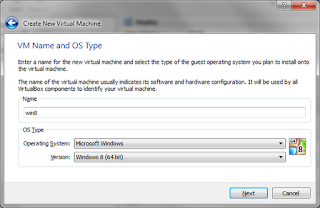 In the next window click the Custom: Install Windows only (advanced) button. 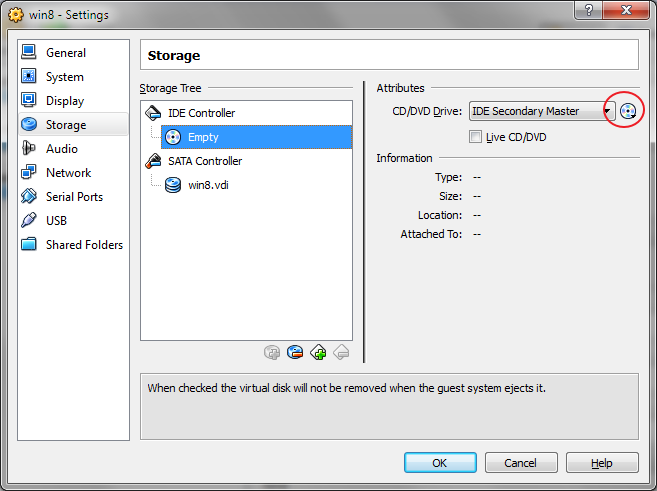 In the next dialog you can select the disk to install. Which in our case is the 20 gig disk we made during the virtualmachine creation. Leave the defaults and click next. Now you can lean back and wait while the system is installing..
After two reboots your fresh installed windows 8 server is started. Now you have to type the machine name. In our case win8. For the simplicity we click Use express settings in the next screen. 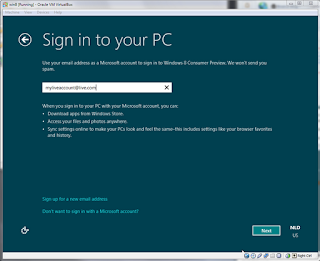 In the next screen you can choose to use to login with your windows live account which gives you access to the Windows Store and do more online goodies. 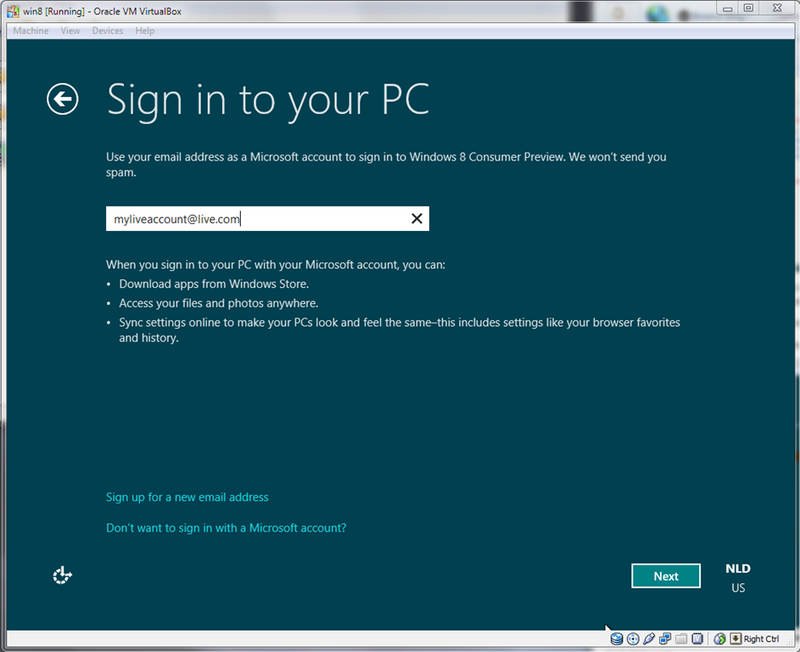 In this install I use my Live Account to signin. If you don’t have one or don’t want one you can use the two option in the bottom of the screen. 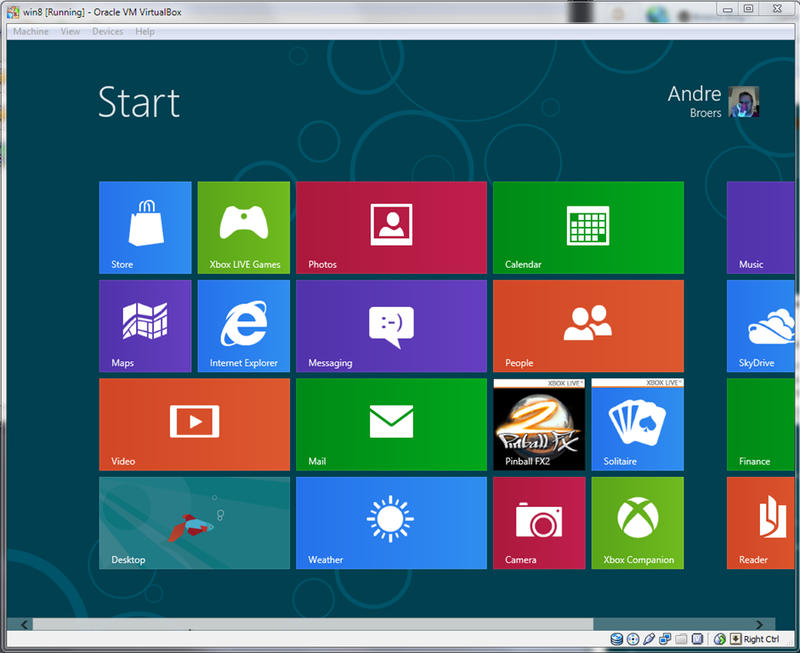 Windows 8 Consumer Preview is up and running. Be sure to check my next Blog post where I will explain how to set the screen resolution for the full screen mode.